Nothing is more important that the right location for your camera. No-one can place a camera perfect on the first try, plan to move it a couple of times until you get it just right. Make temporary installations at first; once the location has proven that it can do the job then make the installation permanent. Place the camera at natural choke-points, that is where cars naturally slow down. PS. a stop sign is not a natural choke point, fleeing burglars will blast through the stop sign. Is the 10 x more expensive Piedmont Cameras better? The City of Piedmont, CA is sharing the same problems as the communities that has joined Neighborhood Guard: A high rate of burglaries and violent home invasions. 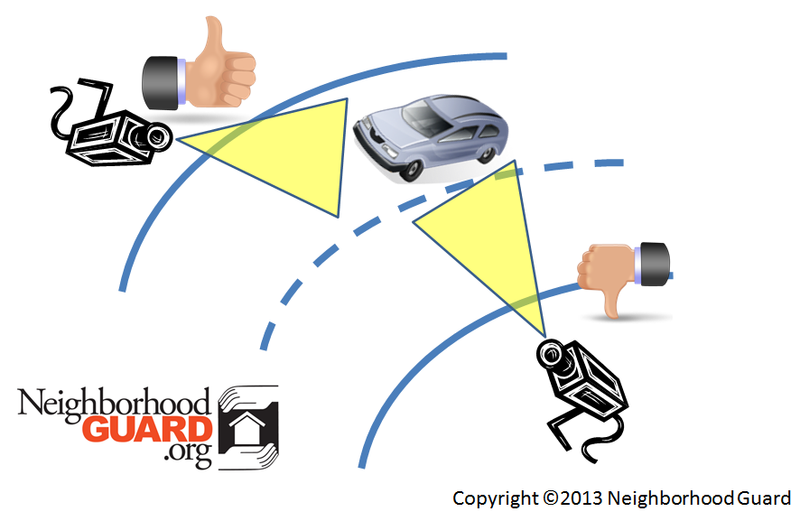 Like the members of Neighborhood Guard they want to use modern Security Camera technology to aid solving crimes. But this is where the similarities end. Tasked with getting a quote for a camera system the Piedmont Chief of Police came back with a 1.1 Million proposal, that does neither include Operations (power and Wireless fees) nor Installation. The proposal is for 57 cameras, which gives a per camera price of $20,235 ! ($1,153,416 / 57 cameras). Why is Piedmont’s solution so more expensive than the Neighborhood Guard solution? Saturday was a big day for our neighborhood group, Captain Israel had seen our photos submitted as evidence to the Police and wanted to come by and see the system for himself. He was greeted by the Chairperson of our neighborhood group and myself. 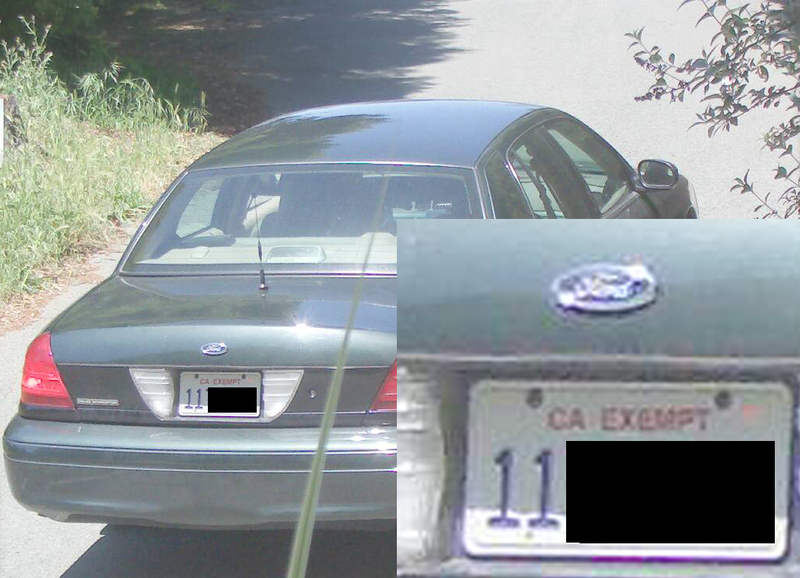 Captain Israel arrives, click to enlarge, you can even read the "CA EXEMPT" on the License plate. The first order of business was to show him our recording of him entering our neighborhood. The Camera had been well hidden and he had not seen it. 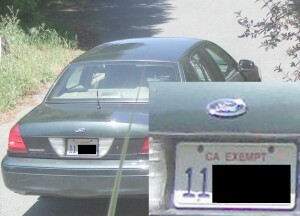 The license plate was readable in all the photos. We did a short demonstration of our system and discussed when it was prudent to call the police. Answer: Every time. 1) If someone knocks on your door at 3:00 am in the morning, call the police immediately, that is a time with low call volume, and typically the police will be able to respond right away. 2) If the Alarm goes of in the middle of the night and the burglars flee, call it in immediately, it is an attempted Burglary and needs to be logged in their database so that the police can determine criminal patterns. 3) For both incidents it is a great help for the police if the neighborhood surveillance photos can be tied to a police report number, so again make sure you report it every time. Make sure your Camera are lit and visible at night. 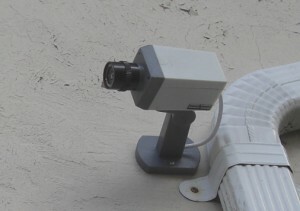 4) When placing real or decoy cameras on the outside on your property, place it where it is lit at night, so that the criminals can clearly see the camera also at night. 5) Make sure your internal list of trusted license plates is up-to-date so that you don’t report a neighbor to the police. Captain Israel asked us to share our know-how with other neighborhood groups, and introduced us to another group which is about to start a neighborhood Camera Project. Naturally we agreed to help on the spot. 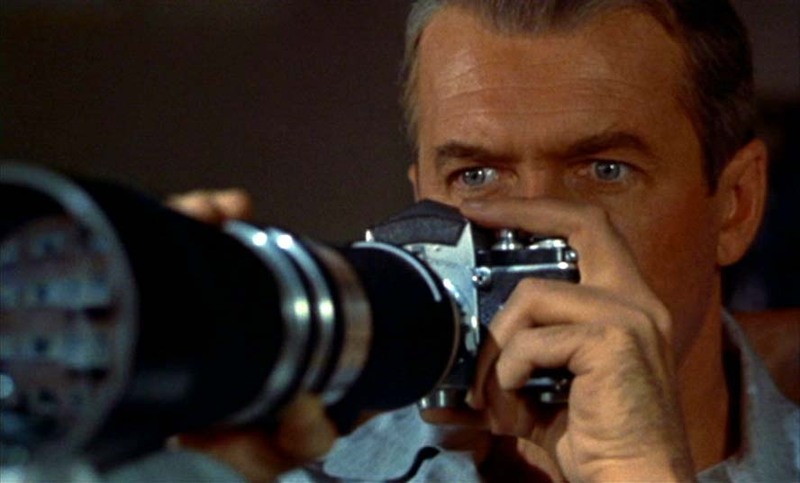 Some people think that Neighborhood security surveillance is a silver bullet that will solve all problems related to crime. It is not, it is but one step in a neighborhood crime fighting initiative. Visible signs of Security Camera activity, such as signs and visible cameras, has a measurable preventive effect on premeditated crimes like burglary, robbery and theft, but has absolutely no preventive effect on crimes of passion like public drunkenness and fights. Video Surveillance improves crime solving rates under certain circumstances. 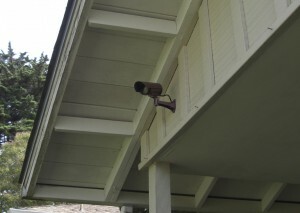 Example of incorrect use of surveillance cameras. 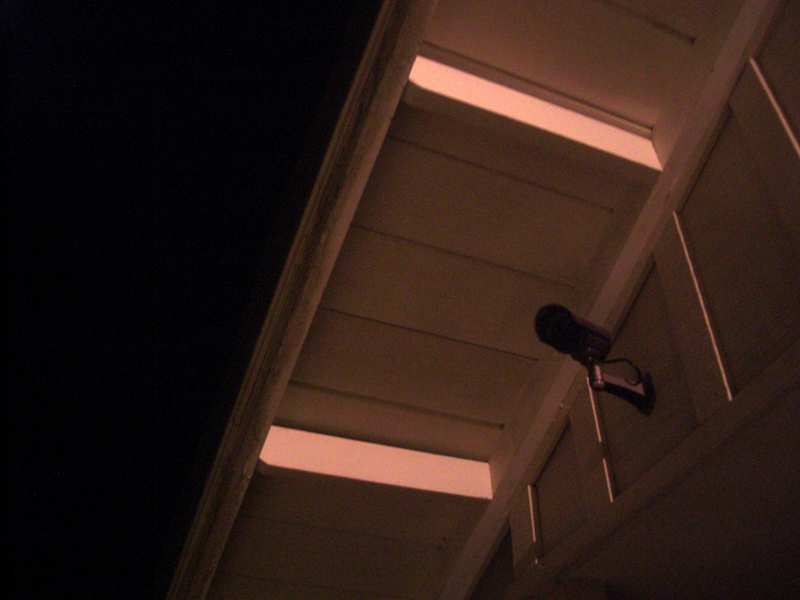 The public surveillance cameras Tiburon, Ca, installed February 2010, has only contributed slightly to crime solving, the main problem being that the cameras are placed in High traffic areas. Specifically the problem is that when examining cameras recordings, the suspect pool becomes too big to of any practical use. Low traffic areas or areas with low traffic of suspects have a better chance of isolating suspects and therefore solving the crimes. 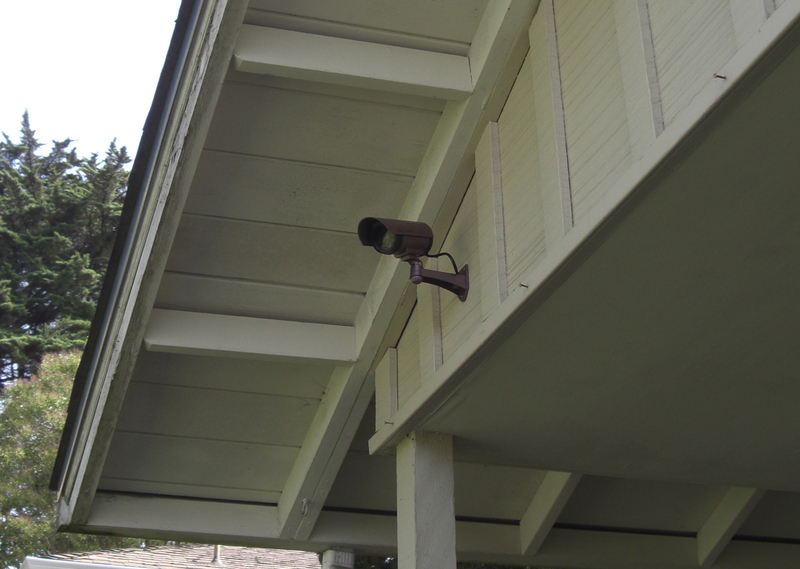 The quiet suburban street – a burglar favorite – is also the place that has the best return of investment for a neighborhood camera solution, especially when combined with individual alarm systems. Does footage always lead to conviction? No – most of the video produced will be considered circumstantial evidence, e.g. images of the suspect entering and/or leaving the neighborhood around the time of the crime, will help in the investigation and together with other pieces of evidence will lead to a conviction. What footage is needed for Conviction. The suspect leaving with items of value that are clearly identifiable. Clear chain of evidence of the footage. Example of footage not enough for conviction alone. The following photos is not enough to convict by itself. Suspect leaving the driveway of victim 10 minutes later. It is however enough for an investigator to pay a visit to the suspect, and if we are lucky the suspect is on probation or parole letting any peace officer in California perform a warrantless and suspicionless search and seizure. If the same vehicle and person has been linked to other burglaries it could be enough for a search warrant and/or an arrest. Don’t expect that the police can rush out and make an arrest based on your video surveillance, do expect that submitting your video to the police could be the lead that changes a case from unsolvable to solvable leading to apprehension of the criminals. Don't expect the Police to make an arrest based on your images alone. 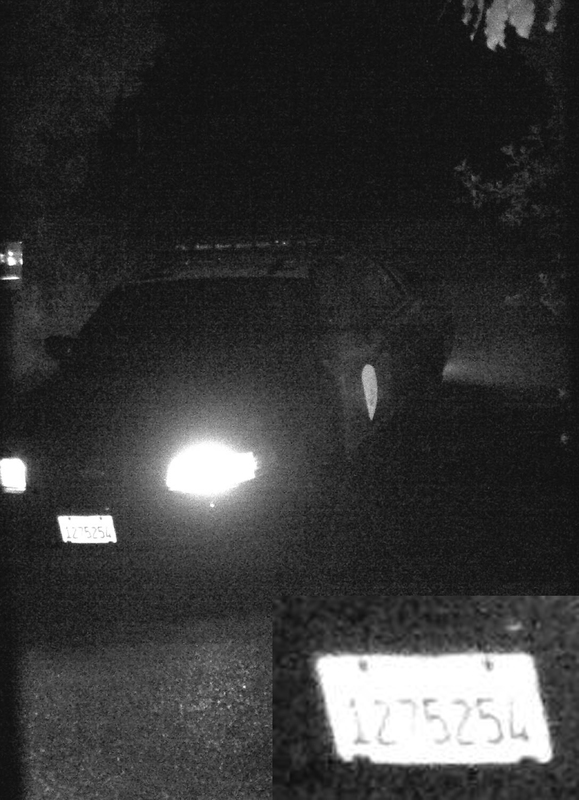 Actual Camera recording of Police Car at 3:00 am with one of our Cameras, click to zoom in and read the license plate. 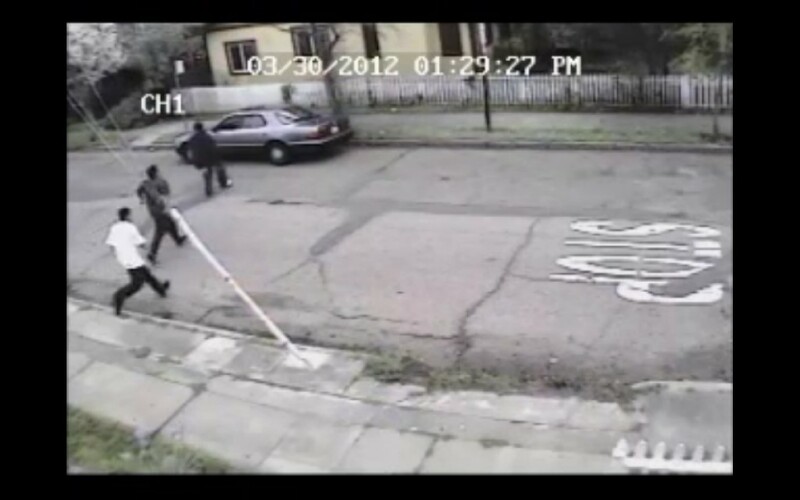 Oakland Police is asking citizens and neighbors to review their video footage in relation to a burglary that escalated into a shooting, morning Friday April 27, 2012 at 10:00 am. 3 young men in a Black Chevy Trailblazer burglarized a house on Thornhill drive between Armour Drive and Snake Rd. The occupant left the house shortly before 10:00 am and burglars entered the house around 10:00 am leading to speculation that the burglars had had the house under observation waiting for the occupants to leave. During the quick burglary an Ipod, Ipad, and jewelry was taken. Contractors working nearby observed the burglary shortly after 10:00 and called the Police. As the burglars were leaving they saw the witnesses and shot at them, hitting their car. Police records the shot a fired at 10:17 am. The Oakland Police responded with 3 units. The Police is looking for License plates and images of the vehicle and occupants, from anyone with a camera pointed at Snake Rd. (Unfortunately our cameras are not pointed at Snake Rd.). Police reports that the vehicle description matches descriptions from other burglaries in the area. Now that we have invested in a really expensive camera how do we avoid that the camera itself gets stolen? Will the criminals learn to avoid the cameras? 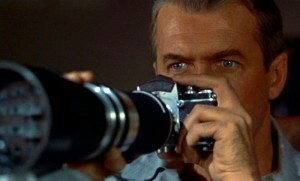 If we hide the expensive camera won’t we lose the preventive effect? The solution is to hide the real camera and setup visible cheap decoy cameras. 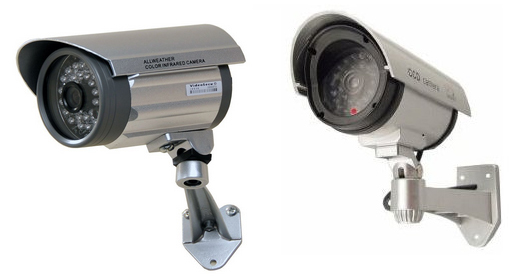 Both real and fake cameras has a proven preventive effect on premeditated crimes! The more cameras the more prevention. Only the real camera will catch the criminal. By using the right combination of hidden expensive cameras strategically placed and visible cheap decoy/fake cameras, neighborhoods can achieve a cost-effective combination of prevention and apprehension.The first decoy camera we tested cost only $5 on amazon including shipping, it looked good in the photo, but the real thing looked like a cheap-toy. The next camera tested was a $20 (now only around $5) dome style camera, it looks pretty realistic, and is ideal for indoor use and for above the front door installation. But for giving the impression of surveillance of public spaces it is not the right type. 3rd time was the charm, the camera we got was a high quality plastic mold of a real outdoor surveillance camera costing around $10. At that price it is worth putting up a lot of cameras. You can buy the Decoy Cameras online from Amazon in single or in bulk. The decoy cameras come with a short cable that goes into the wall mount, in your mind you have to determine where this cable is going. If you place the decoy on a tree or a light pole then you have to add a fake cable that goes away from the camera. The easiest solution is to place the camera on a wall where there it would be natural to run the cable on the other side of the wall. Don’t hide the decoy camera, but instead make sure that it can be clearly seen from the street and make sure it has a good view of the street/intersection. Advice from Captain Jeffrey Israel, Oakland PD, place the camera in a place where it is lit and seen at night, e.g. in an area lit by an outdoor light or motion detector security light. All the decoy cameras above has a LED and a battery compartment for a 9 volt battery. A 9 volt battery will last about 3 months before needing replacement. You will have to find that answer yourself depending on how likely your group will be running out with ladders every 3 months to replace all the batteries. The most common question I get is: Which camera are you using? The Camera is only one part of the equation, power and lighting are very important factors. We are trying to negotiate a bulk price for our members, until that is finalized please use the links above as it will get you the best prices available and make a small donation back to Neighborhood Guard. 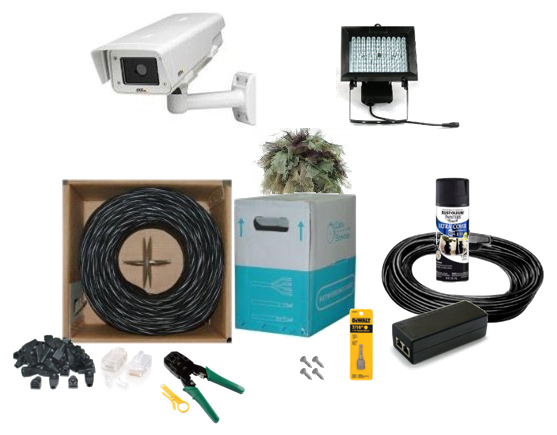 If we install 2 cameras, does the original order have enough ethernet cable, connectors, relief boots, mounting bolts, and low voltage cable for both cameras? A couple of days ago there was a burglary attempt at a neighbor – The incident was caught on a Security Surveillance Video. The Video shows 3 young men approaching a house, then running away from the house once the alarm is triggered and speeding off in a ordinary looking silver sedan. 3 days later I got this email from the Captain of the Police in Oakland. OPD is happy to inform you that the suspect in the burglary video (and responsible for numerous break ins and attempted break ins in the hills) is in custody. I will release more information when I can and doing so does not compromise the investigation. I sincerely appreciate all of the fantastic assistance from the community on this crime series. There is no doubt that without community support these crimes may not have been solved yet. It once again show that having Video evidence moves the crime to the top of the solveability list. Thank you Oakland Police and thank you video surveillance. Man walking dog shot in Oakland hills last night. A man was shot last night @ 10:30 while walking his dog on Elverton (1st road north of Snake road) in a part of Oakland hills far from the high crime areas of Oakland. He had just returned to his front yard when his dog started barking, and he saw two young men approach in hoodies. They said, “hold it there”, then threatened with a gun, when the victim turned and ran to his house he was shot. The shot penetrated his arm and broke the bone, which is lucky, considering that the perpetrators was probably not aiming for his arm. The Elverton neighborhood has a video surveillance group, they are currently assembling their footage. Never Again, will a violent criminal enter or leave our neighborhood undetected. 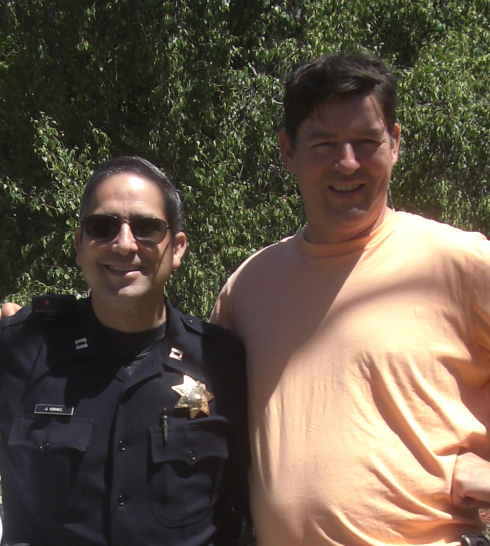 This Blog is to show that it is possible to put up resistance when criminals terrorize your neighborhood, as long as people come together and stand united. 11:05 pm another officer is assigned to meet the victim at the hospital per the field supervisor (victim was transported via ambulance). I had a good talk today with the Investigating officer. He told me that based on the facts, the case is treated as a an assault with a firearm as defined in California’s Penal code section 245, and not as a Robbery under section 213. The Elverton neighborhood watch video group did capture the vehicle of the shooters. But unfortunately only on an older analog system that could not provide a clear night image of the vehicle’s license plate. Please subscribe to this blog via the front page to learn how our group managed to capture license plates in the darkest part of the night. Another video system in a different part of town did catch an image of a suspect but the image was lost due to a 3 day video retention policy, and the investigating officer didn’t learn about the recording until the fourth day. This just goes to show the importance of a long image retention policy. The first officer at the scene arrived 10:56 PM -17 minutes after the 911 call. With the current Police staffing situation in Oakland, we cannot expect the police to arrive in time to catch the Criminals, we need to have a system that can clearly identify perpetrators, day and night.